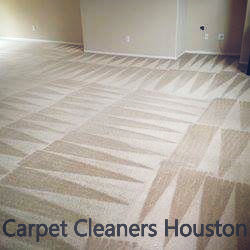 Carpet cleaners Houston can help you keep your carpets Even Cleaner than Just regular vacuuming alone. Depending on the quality of your carpet, it doesn’t usually take very long for signs of wear and tear to Start Showing. But there is no need to sacrifice the luxurious feel of carpeting under your feet simply to keep your Carpets looking Clean. The following are five reasons it’s best to trust your Local professional carpet cleaners Houston. Keeping carpets clean and in good condition requires know-how, as with a specialist. Our professionals at Tex A Clean Carpet Care LLC know how to operate Carpet cleaning equipment properly, and We know the right amount of solution to apply. Our Carpet Cleaning Techs also know how to tell The Difference between the care that is best needed for one type of carpet to another. These things matter because many people that try to do-it-There self run into problems or end up damage their Carpet . A stain on the carpet can bring sadness on your Face and can take away the beauty of your home. You may have tried all sorts of cleaning companies to remove stains from your carpet, but there’s nothing you can buy in the stores that can match our all organic treatments that not only remove stubborn stains but also helps to prevent future stains from rising again. One of the biggest mistakes made when homeowners try do-it-yourself carpet cleaning is that the carpets become over-saturated with water and are unable to completely dry out. The result can be that mold and mildew begin growing, which affects your health as well as the health of everyone in the family. 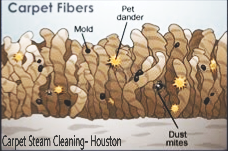 Our carpet cleaners Houston have the right equipment and know how to avoid over-wetting the carpet. Our efficient and effective approach to carpet cleaning results in reduced drying time. There are many contaminants in the air that float around and end up becoming embedded deep in your carpet fibers. Our professionals and their equipment can fully extricate soil, dust, and other pollutants from your carpet.